If you are not familiar with our term, “Micro Collecting” involves finding collecting projects that have personal meaning but can be achieved with a small number of cards. For example, I’ve collected certified On- Card Autographs of all the players on the New York Rangers with numbers that have been retired which was a great little project because there are currently only 9 players. Some other ideas could be collecting players that share your birthday, players who attended your college at the same time as you, players who have made milestone plays at games you’ve attended or maybe even players who share your last name. Micro Collecting can be done with a wide variety of budgets, big and small. You can highly personalize your collecting while at the same time discover some cards you may never have thought to collect. 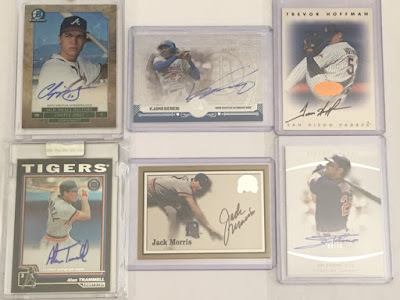 You can select rookie cards, cards from their best years, low numbered serial cards, numbered cards that are the same as their uniform number, sticker autos, Auto Relic Cards, printing plates, etc. The entire point is to pick an easy project that inspires you. For me, I’ve always had a connection with the Baseball Hall of Fame having grown up in New York. As Micro Collecting projects go, Baseball Hall of Fame members certified On-Card Autographs is on the larger size with 76 current living members and 40 deceased members. 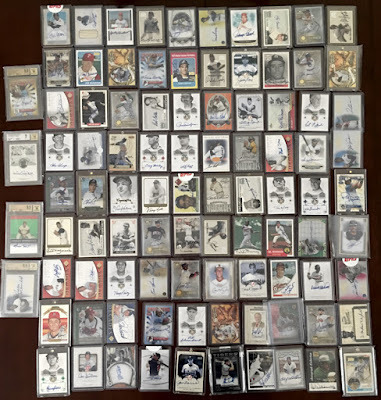 The great thing about this project is a lot of those members can be found currently just by opening packs of Topps cards. Within recent releases over the past couple of years I can think of about 60 members who have signed for Topps. That list would expand greatly if it weren’t for the “certified On-Card” qualifier. But you could include cut auto cards or even just collect autographed baseballs, a project that you could complete a large portion of just by attending the National. Many of the in-person signers in the Tristar Autograph Pavilion are HOFers. The other thing I like about this collection is it expands to include new members each year, so there is always something new to collect, keeping it fresh, but the number it expands by is very manageable. The Class of 2018, at 6 new members, is about as big as it gets. I look forward to the announcement at the beginning of the year with the members of the next class to enter the Hall. 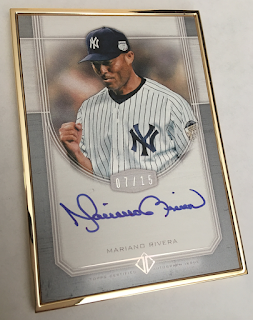 Sometimes, if I’m sure someone will make it, I do a preemptive strike to collect their card before the announcement, like I did with this Mariano Rivera 2017 Topps Transcendent card. Rivera should have no problem making it into the Hall in 2019, his first year of eligibility. In future articles I’ll go more in-depth with the cards from this collection and other Micro Collections that cross into this collection, make sure you check back for those. Leave a comment telling us about your Micro Collections or ones are now inspired to start. You may spark a idea for another collector in the process. 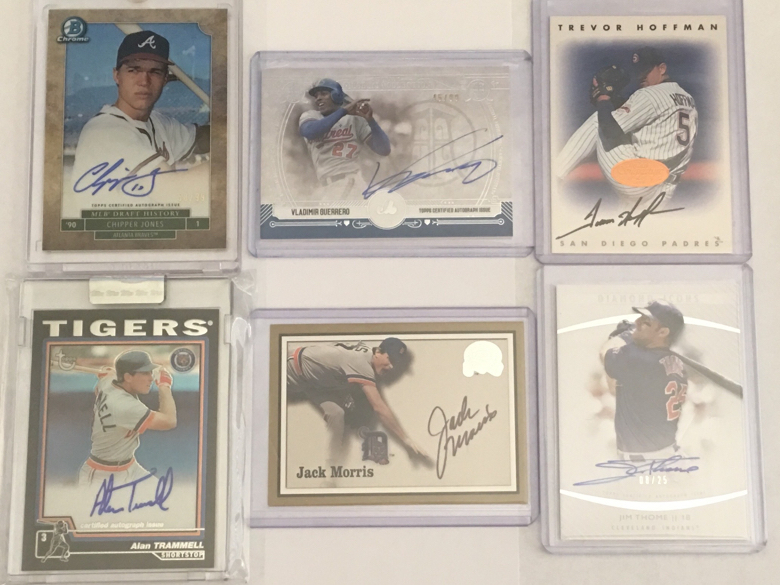 Although I haven't officially started an on-card hof autograph collection, I probably have a decent sized collection. 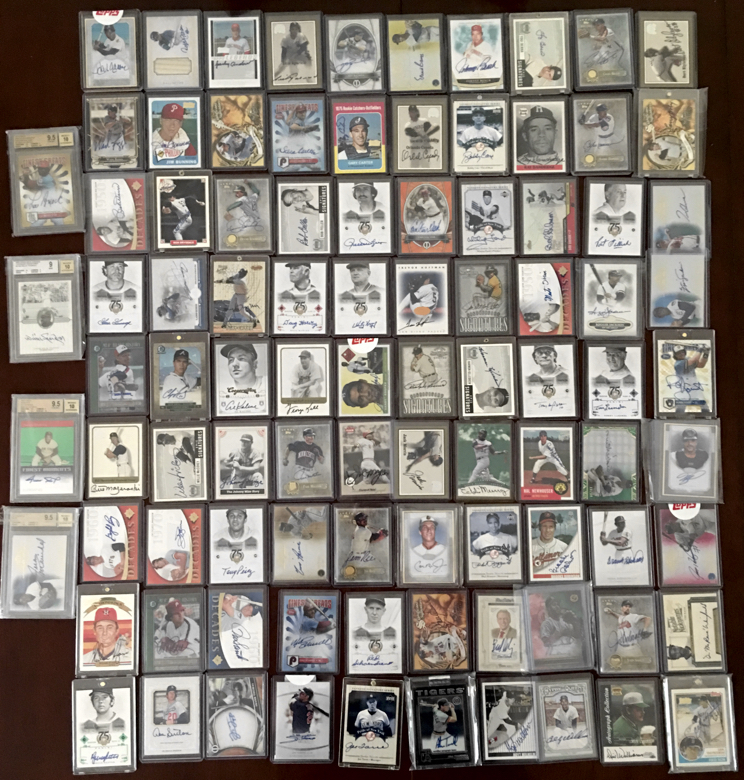 As for other Micro Collections, I have a few: hometown heroes, birthday pc, surfer pc, lefty Cy Young Award winners, and Donruss puzzles to name a few.